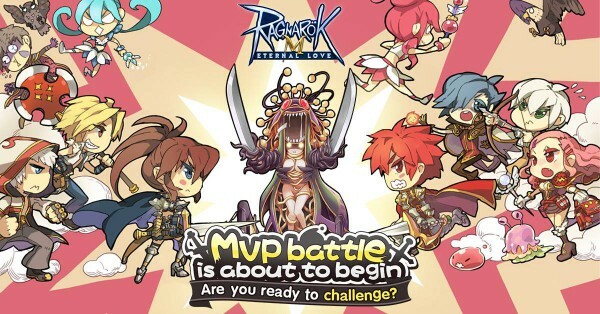 Ragnarok M: Eternal Love Global Server gets MVP Battle Update! We have scheduled server maintenance on March 25th, from 02:00AM to 6:00AM (US Central Time), to process a new update patch. During the maintenance, players were not be able to log into the game. After the maintenance, we have sent 2x 「Adventurer Coins」, 2x 「Hot Meal」, and 2x 「Lightning Chain」 as compensation. We apologize for this inconvenience. * If your party has won a Boss fight, each party member will receive a certain amount of “Honor Proof” and “Mithril Stone” as their rewards, depending on the boss. Please know this maintenance also included a bug fix for the channel issues players had been experiencing. « Major Updates coming to Valor Guard Tactics!